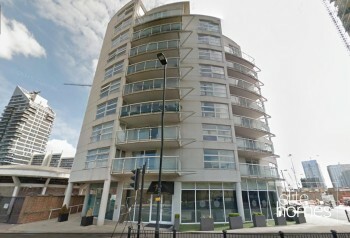 Offering a bright and spacious apartment in secure residential Lumina Building on Preston’s Road. The reception room benefits from large floor to ceiling windows leading to the large balcony looking towards the Canary Wharf skyline. The fully fitted modern kitchen is open plan to the reception which boasts dining space. The master bedroom also benefits from floor to ceiling windows and has fitted wardrobes and en-suite shower. The second bedroom is located close to the main bathroom and the property also benefits from some storage space and a large open hallway. 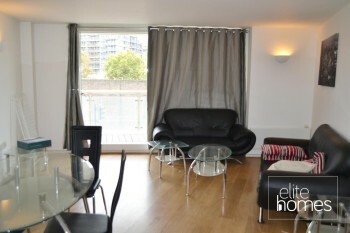 Situated just minutes’ walk into Canary Wharf offering the Jubilee Line, shops, bars, restaurants and more. Please note the property is undergoing works and will be available from the 23/09/15, bills are excluded from the rent and unfortunately the landlord doesn’t accept housing benefit claiming tenants.